Select your computer or motherboard model to find compatible SSD & DRAM upgrades. 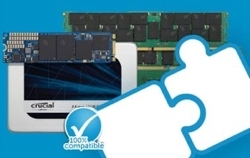 Run our scanner tool to find compatible SSD & DRAM upgrades. We live and breathe memory and storage, but it's not just a work thing. We build our own rigs, geek out over new technology, and game as soon as we're off the clock. That's why we use premium Crucial and Ballistix products to maximize our own PC gaming experience. As serious gamers we get it: SSDs drastically reduce load times to get into the game faster—so you can leave the competition behind. More speed. More performance. Better gaming. Explosive speeds and lower latencies. The most powerful gaming experience. 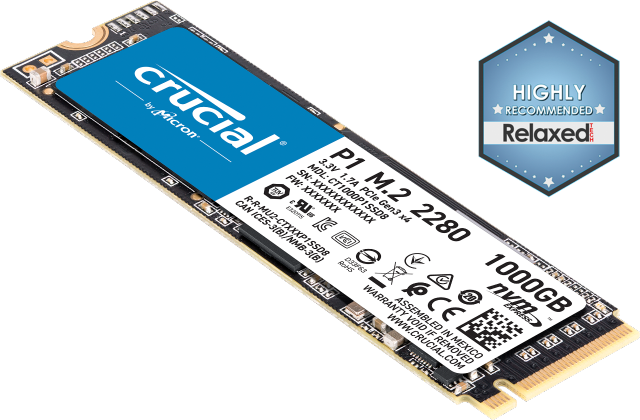 Premium-quality modules with low latency and fast speeds. Are you getting ready to build a computer but don’t know the specs you need for your favorite games? Our guide gives the latest specs for gaming PC setups. For memory to work on your system, it must be compatible with your motherboard. We’ll show you how to get RAM that your motherboard will support. SSDs definitely have an advantage over HDDs on load times. If it’s important to you to start your game faster, we'll help you find the best SSD for your system. Does my computer need more memory? See if a memory upgrade will solve your slow computer issues.